It’s October! You know what that means, it’s Connected Educator Month! You may have heard me talk about the power of connected learning and teaching and leading in the past… my stance on it hasn’t changed. Having a strong personal learning network (PLN) is vital to the success of any educator. Local networks and teacher communities are very important, but there is great benefit to connecting beyond the walls of our schools and district boundaries to collaborate and network with teachers and administrators from all over the world. Over the past five years, the number of educators using social media tools to connect with one another to share resources, provide support, and energize one another has increased exponentially. It is well worth an investment of your time to find a network with which to engage to better your practice. Whether it is via Twitter, by joining a book club hosted by CEM or facilitating a global collaboration project such as Global Read Aloud in your classroom; through discussions in a Google+ community or posting to Pinterest boards, finding an Instagram hashtag to follow, or another connected learning endeavor, the possibilities are endless to get and stay connected with fellow educators! Here’s the Connected Educator Month calendar. Check it out and see if there’s something in which you’d be interested in participating! These events are not solely focused on technology use in the classroom. Topics span everything from literacy to interventions to real-world problem solving to social-emotional learning! There’s something for everyone. The focus of our November 18 Wired Wednesday workshop will be using Twitter and other social media tools to develop a personal learning network. 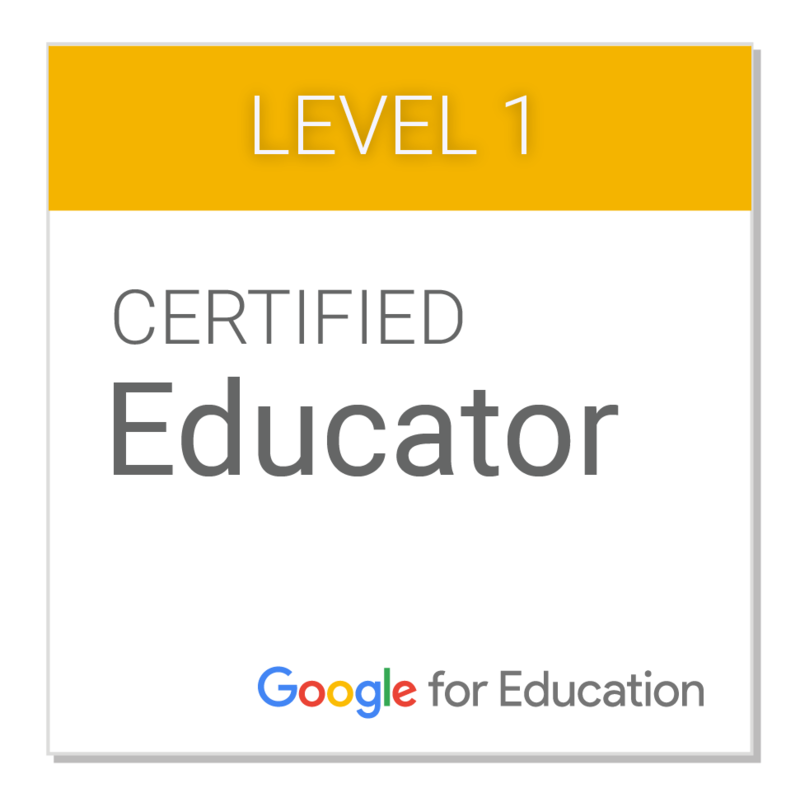 Sign up in My Learning Plan to join us! Follow the #ce15 hashtag on Twitter to read the latest and greatest contributions from educators around the world who are sharing their learning during Connected Educator Month…. and beyond! 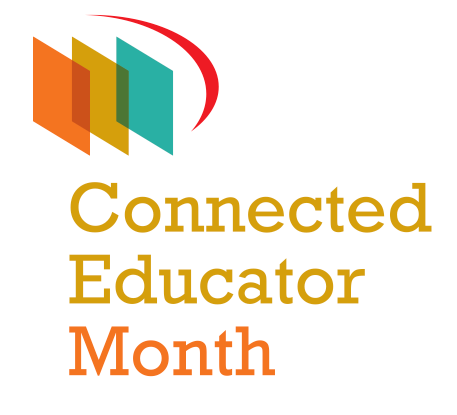 If you participate in Connected Educator Month, please be sure to grab the CEM Credly badge! Along with all of the other badges you’ve earned this year thus far! This entry was posted in Communication, Connected Learning, Professional Development, Resources and tagged connected educator month on October 8, 2015 by elemtech. 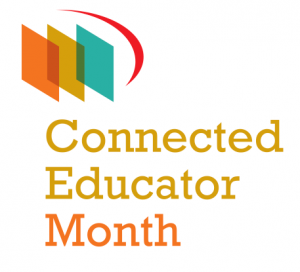 Last year the first annual Connected Educator Month was organized and celebrated by the US Department of Education. This year marks the second anniversary, and there are many exciting activities and events in store this October to celebrate the wonder of being a connected educator! These are the themes for this year’s event. There are many ways to get involved with CEM. Here is the Kickoff page that lists all of the great events during the opening days of CEM. Check out the Events Calendar to find events and activities that interest you. There are also Book Clubs being organized, Twitter chats to participate in, and ways to get your students and classrooms connected! Are you connecting with other educators, and/or getting your kids connected through global projects? I want to share the great work you’re doing! Please let me know what types of activities you’re participating in, including Mystery Skype, Global Read Aloud, etc. I’d love to showcase your project work here and share with others! 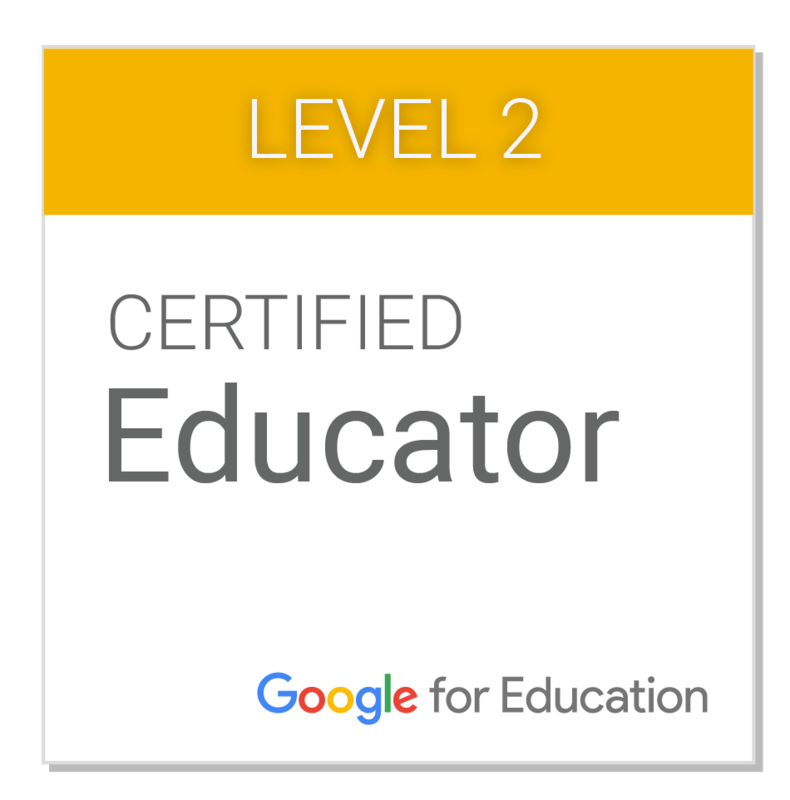 Finally, if any of you are interested in becoming a Connected Educator – the benefits are HUGE! – please let me know. I’d be happy to organize time to meet with you/your team/your school to discuss the use of social media to connect with educators around the world! I can support you in getting started with Twitter, reading some great educational blogs, and engaging with other online communities such as those in Google+! This entry was posted in Connected Learning, Professional Development, Resources and tagged connected educator month, connected learning, global projects on October 1, 2013 by elemtech.